Our 2" Masking Tape is ideal for creating neat lines and edges on smooth surfaces as well as protecting areas from unwanted splashes and over runs of paint. At 50mm wide x 50m long roll our trade general purpose masking tape is suitable for all kinds of simple jobs and DIY applications. 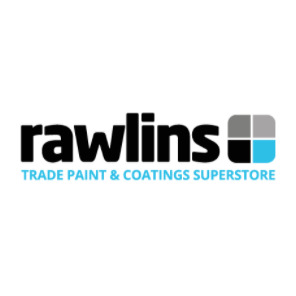 It is compatible with most common paints and varnishes, has good adhesion on all clean surfaces, is easy to remove without adhesive residue being left behind and is hand tearable. 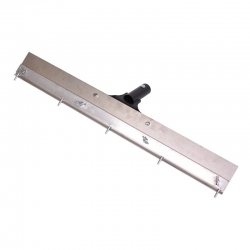 Remmers Coving Trowel is a special curved coving trowel with handle for installation of coving mortars. Plawecki type. SL Floor Coating Rake is an adjustable leveler for spreading floor coatings and screeds in one easy application. It is ideally suited to use with any floor coatings that have good flow characteristics. Remmers Spiked Rollers (sleeve without frame), use 21mm spikes for coatings, 35mm spikes for levelling compounds. 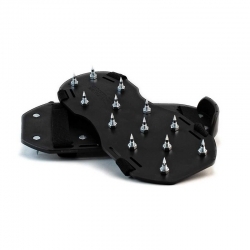 Our spiked shoes have 25mm long steel spikes and are used to gain safe access onto new flooring overlay systems. They should be worn whilst working on fresh coatings and whilst deaerating the fresh surface when using our 9" Spiked Roller. One size fits under most sizes of site shoe or boot with straps to secure to the users footwear. Our&nbsp;Paint Roller Trays are made from durable plastic with ribbed interior to aid paint loading onto rollers. Our larger roller scuttles allow larger amounts of paint to be held and wider rollers to be used and come with a handy&nbsp;measuring scale within the scuttle. 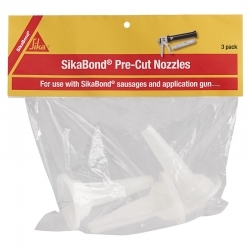 A pack of 3 triangular pre-cut nozzles for use with SikaBond adhesives in conjunction with SikaBond sausages and application gun. 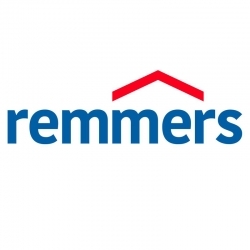 Remmers Roller Handle (single sided) are for roller heads up to 10-25cm wide. A range of good quality and cost effective roller frames to suit all sizes of roller sleeves. Our roller frames are a universal fit to most common roller sleeves, making them extremely compatible and easy to use and interchange. 1507 HB Roller is manufactured from a polyurethane foam with a solid core, these sleeves should be used to produce an even textured effect when using 1501 HB Textured Basecoat. 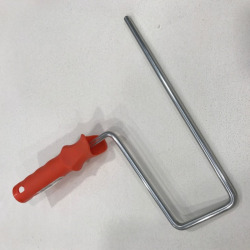 Our&nbsp;6" Gauging Trowel is made from welded&nbsp;alloy stainless steel with moulded PVC handle with soft-grip finish, ideal for mixing and applying smaller areas of repair mortars and screeds. Remmers NBS Gun is a gun for applying Remmers Gun Foam (1542).